Now you can make your AR-15 rifle more reliable, keep it running longer AND save money with the new Tubb Precision AR-15 Spring Performance Pack. All Performance Pack springs are made from Chrome Silicon (CS) and 17-7 stainless steel, pass the mil-spec salt spray corrosion test, and are heat treated. They will not take a set like common music wire springs, will never lose more than 10% of their power, and will probably outlast your rifle. 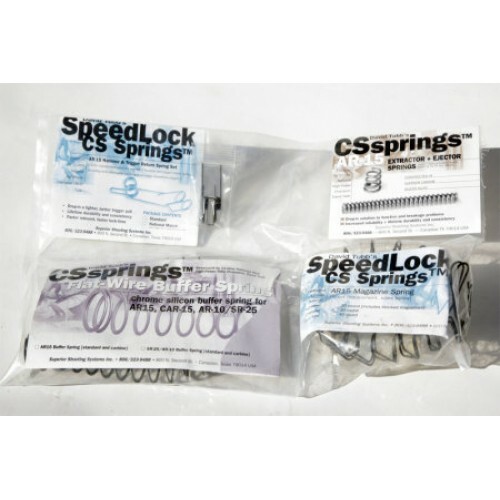 The Performance Pack contains all of the essential springs to keep your AR running, including the AR Extractor Spring, arguably the most important spring in your AR. If the Extractor fails, your gun won't run! 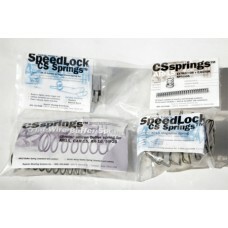 The AR-15 Spring Performance Pack saves you $20.00 over the price of buying each spring individually. "Tubb Precision CS Springs may very well improve the accuracy, but will undoubtedly improve the reliability of your firearm."